The results are clear. We are passionate about what we do. Client of more than 4 years brought this beautiful Porsche straight to our studio after delivery. After an overall inspection, we decided to decontaminate, refine and multi-step polish the paint to bring out the best of its appearance. Layers of Ceramic Pro were also installed. Paint Protection Film has been installed on the entire front end with wrapped edges. Providing protection against rock chips and self healing abilities from scratches. Ceramic Pro was also installed to enhance gloss, easy maintenance and protective qualities. 700hp of American Muscle spent a few days in the studio at North Pitt Auto Spa. Paint protection film was installed to give the owner a worry free driving environment. Protecting the front end from paint chips. Ceramic Pro was also installed for additional protection. The appearance of this V12 Convertible was substantially improved after the paint was decontaminated, refined and multi step polished. Ceramic Pro was installed to protect and preserve its new improved look. This makes for the third exotic from a client of over 4 years. The future, protected for the future with Ceramic Pro. Layers of ceramic coating were installed on this electric vehicle. The paint was decontaminated, refined and multi step polished to substantially improve its appearance before coating installation. Was a privilege working on a vehicle with such luxury and class. This makes for the clients second luxury sports car that NPAS has worked with. The appearance was greatly improved after the paint was decontaminated, polished and protected. One of many vehicles that have been regularly maintained for the owner of this ultimate luxury Mercedes Benz. Sit back relax and let North Pitt Auto Spa give the attention that your luxury, exotic or sports car deserves. Track record setting street legal race car received multiple layers of ceramic coating using Ceramic Pro. The owner wanted to easily maintain its appearance after each use on the track at Pittsburgh Raceway. Ceramic Pro offers easy maintenance, added gloss and protective qualities. The owner of this special edition Lamborghini highly recommended our services after the paint was decontaminated, refined and multi step polished. This brings out the most in a vehicles paint. Layers of Ceramic Pro were also installed to protect and preserve. This Arctic White STI was purchased used and came immediately to NPAS's studio for an overall paint inspection. Rock chips were repaired before paint protection film was installed on the entire front end. Ceramic Pro was also installed for years of protection. After NPAS was able to assess the condition of this beautiful Ferrari FF. The paint was decontaminated, refined and multi step polished to greatly improve its appearance. Layers of Ceramic Pro were installed to protect and preserve its appearance. One of the fastest sedans you'll see on the streets of Pittsburgh. Its appearance is regularly inspected and maintained. The paint has been decontaminated, refined and multi step polished. Ceramic Pro has also been installed for easy maintenance, gloss and permanent protective qualities. After inspection of this exotic the appearance was greatly improved. The black paint showed micro marring and light scratching that received attention. After the paint was decontaminated, refined and multi step polished, Ceramic Pro was installed. This beautiful super sedan has been regularly maintained by NPAS since it was purchased. The paint has been decontaminated, refined and multi step polished. Layers of Ceramic Pro were installed to help maintain, preserve and protect its appearance. NPAS wasn't in a hurry working with this 911 and the results were a reminder why. Worn out paint protection film was carefully removed before the paint was decontaminated, refined and multi step polished. New paint protection film was installed on the entire front end. Was a pleasure to have this SRT Jeep in the studio! It's appearance was greatly improved before paint protection film was installed along with ceramic coating. The client was very happy with the results and NPAS is looking forward to seeing it out on the Pittsburgh streets! Can't go wrong...white with red interior. The paint on this BMW Z4 M was decontaminated, polished and protected with Ceramic Pro. The interior also received attention. This makes the third clients vehicle for NPAS to have the pleasure of working on. This vehicle's appearance was significantly improved after the paint was decontaminated, refined and multi-step polished. Paint Protection Film was installed on the entire front end with custom-wrapped edges. Ease of maintenance, color renewal and protective qualities were added with Ceramic Pro. This vehicle was purchased new by an existing client and was brought directly to NPAS's studio. Paint protection film was installed on the entire front with wrapped edges providing additional coverage. Layers of Ceramic Coating were also installed. 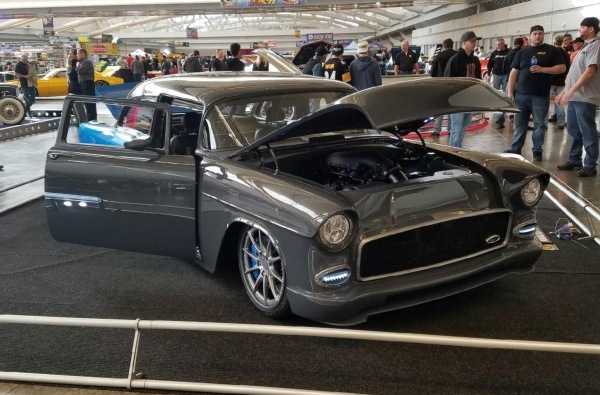 Recently featured in Hot Rod Magazine, making 1300hp, made this a unique and exciting project. NPAS was able to greatly improve its appearance by safely removing or reducing minor imperfections in the top layer of paint and clear coat. This GMC Sierra 2500 Denali HD is very well protected and ready to take over the winter roads. Paint protection film was installed on the front bumper and bottom sections of all doors to help prevent rock chips. It was also ceramic coated adding easy maintenance, gloss and scratch resistant qualities. An AMG to die for. Layers of ceramic coating were installed on this Mercedes-Benz AMG GT S to preserve and maintain its custom painted satin finish. It will also be very easy to wash and keep clean thanks to Ceramic Pro. Get the most out of the sale of your sports, luxury or exotic vehicle with NPAS. The appearance of this Audi S5 was greatly improved inside and out. Making it much more presentable for any potential buyers. Ceramic Pro was also previously installed. California living...in Pittsburgh. The appearance of this Ferrari California T was improved and enhanced. Ceramic Pro was installed after the paint was decontaminated, refined and multi step polished. The interior also received attention. 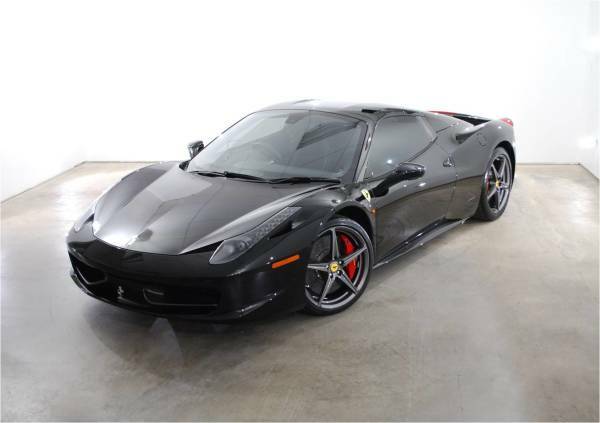 NPAS was able to substantially improve the appearance of this Ferrari 458. The paint was decontaminated, refined and multi step polished before paint protection film was installed on the entire front end. Ceramic Pro was also installed for protective, ease of maintenance and enhanced gloss qualities. Darth Vader Z06 ready to take over the streets of Pittsburgh. The paint was decontaminated, refined and multi step polished before Ceramic Pro was installed. This greatly enhances a vehicles appearance, making it stand out from the rest. 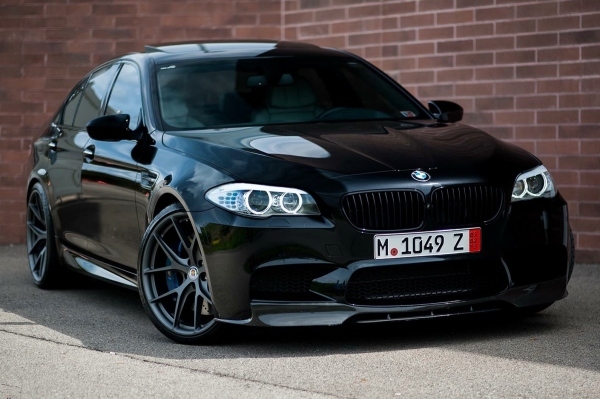 BMW M2 before it drives off into the weekend. The paint was decontaminated, refined and multi step polished. Paint protection film was installed on the entire front end, a-pillars and front roof line. Ceramic Pro was also installed for ease of maintenance, added gloss and protective qualities. Project #rs5 completed. After carefully removing paint protection film from the entire vehicle the paint was decontaminated, refined and multi step polished. This substantially improved its overall appearance. Ceramic Pro was installed for additional gloss and ease of maintenance. Although in nearly mint condition, being over 10 years old, there was major room for improvements. The paint was decontaminated, refined and multi step polished before paint protection film was installed on the entire front end. Ceramic coating was also installed to preserve its new and improved appearance. This Camaro ZL1 is protected for the future and wherever else 650hp takes it. Paint protection film now covers the entire front end along with mirrors, headlights and rocker panels. Ceramic coating will also be installed. Maserati making a statement. Paint protection film was installed on the entire front end. Film was custom cut and designed for a transparent outcome. Ceramic coating was also applied to enhance its overall appearance while making it easier to wash and maintain. Oh my...AMG. This Mercedes-Benz C63s is now fully protected with advanced transparent paint protection film. It’s now ready to take over the streets of Pittsburgh! Patience played a big influence in the outcome and was a pleasure to have in the studio. Sunday's in the studio with this Shelby GT350. The entire front end has been covered with paint protection film including all painted surfaces, headlights and mirrors. It's appearance is now ready to be enhanced with Ceramic Pro. Beautiful. One of the first words best describing this 2014 Bentley Continental GT Speed while admiring its new and improved appearance. Paint protection film was installed on its entire front end after the paint was decontaminated, refined and multi step polished. Ceramic coating was also installed to help maintain and preserve its appearance. Supertruck. This Ford Raptor is now protected with paint protection film and ceramic coating. Film was custom designed, cut and installed on the entire front end after the paint was decontaminated and polished. Layers of ceramic coating were also installed for added gloss, ease of maintenance and protective qualities. Pittsburgh’s newest Lamborghini Aventador S is now fully-protected, after paint refinement and polish, with transparent paint protection film, the best available vehicle protection, as well as Modesta BC-04 Advanced Glass Coating, which enhances gloss, ease of maintenance and protective qualities - all on an elite level. Watch for this Blue Bull to take over the streets come spring. NPAS took improving and protecting this 2018 Ferrari 488 Spider very personally. The owner delivered this brand new vehicle directly to our location and handed the keys over to NPAS to protect his vehicle before it ever even hits the street and is exposed to the elements. The paint was decontaminated, refined and multi-step polished before advanced transparent paint protection film was installed on every painted and carbon fiber panel. Modesta BC-04 Glass Coating was also installed to enhance gloss, ease of maintenance and protective qualities. Now the owner is ready to take the driver's seat without worry. Can’t completed projects stay in the studio forever, just like this...2015 Porsche GT3, recently purchased used, has taken on a whole new improved appearance. Advanced transparent film now covers the entire car along with Modesta Glass Coating. A great combination considering the owner plans on spending time behind the wheel on city streets and the track. Look for it on display at Pittsburgh Cars N Coffee this coming season. The owner of this vehicle was referred by members of one of the most prestigious car groups in the Pittsburgh area, Pittsburgh Cars 'n' Coffee. Paint Protection Film was installed on the entire front end along with layers of ceramic coating using Ceramic Pro. Japanese super car meets Japanese inspired Modesta Glass Coatings. This 2018 Acura NSX took over Pittsburgh’s Advanced Automotive Protection Studio with its dry carbon fiber and red interior. All painted and carbon fiber panels were covered in transparent paint protection film along with Modesta BC-04 Glass Coating to help preserve and protect its appearance while adding gloss and easy maintenance qualities. This manual, 6 speed only model Cayman is ready to be driven. Paint protection film now covers the entire front of this Porsche GT4 along with rocker areas, a-pillars and front roof line. The film will be very useful, preventing from rock chip damage and other abuses while driving on the track and city streets.